It's been a couple of years since your bike got stolen. It's been a couple of months since your friend's bike got stolen. It's been winter for a lot of that time so the cold and grey has rendered you relatively apathetic to most things, but definitely to the care with which you lock your bike, especially because you might not have been riding it very much over the past few months. We at Bike Index want to remind you really quick to RE-VAMP YOUR VIGILANCE as little puffs of warm weather begin to come and go. As more people are out riding, more carefree because of the sun (wow, I had forgotten what it looked like), bike thieves are preparing to score big time. Bike season = theft season. But that doesn't mean you have to be a bike theft victim. Just keep a few tips in mind and you'll be well-prepared to keep your bike. 1) Lock it appropriately. Just, honestly, get rid of the cable lock. Unless it's paired with a U-lock. Better yet, use two locks: one through a wheel and the frame, and the other through the remaining wheel. Make sure what you're locking to doesn't just pull out of the ground. Make sure what you're locking to has a top so someone can't just a slide a bike up and away (trust me, I've seen it). Make sure what you're locking to can't be unbolted from the ground. 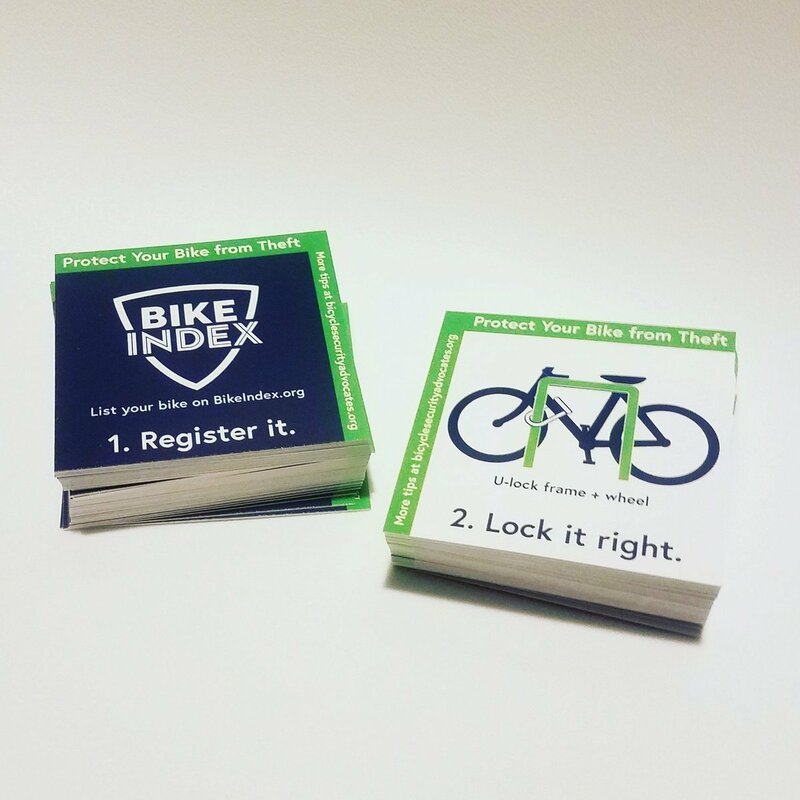 Look at these awesome locking cards Bicycle Security Advisors made. 2) Just because you're locking your bike in a highly traffick-ed public place does not mean your bike is safe. Most thefts occur in these areas. Remember, a person wearing an orange construction vest can get away with literally anything, including sawing the lock off your bike. 3) Lock your bikes inside of your own garage. The number of garage - whether personal or in your apartment building - break-ins and thefts is actually egregious. We wrote an article about this last week. If your bikes are under an additional layer of protection, it might deter thefts. If someone's broken into your house to steal your bikes, then it's unlikely that a few locks will stop them. But it might slow them down enough for you to make it home before they escape. Or, I hate to say it, but it might incentivize them to go after a less-secured bike in a shared apartment garage space and leave yours be. 4) Register your bike on Bike Index. You probably already have, and that's great. But go in and update it. That little scratch on the downtube is new, from sliding over the black ice on your way to work. You got a new saddle. The picture you put in initially is grainy. Go make sure all of the details are up-to-date and everything about the bike can be linked to your ownership. 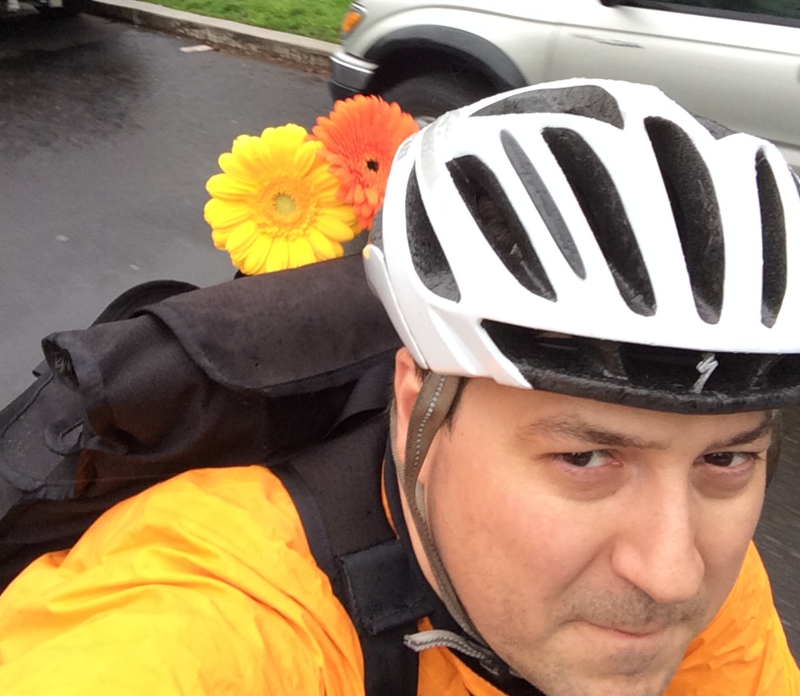 5) Get out and ride! Don't let the fear of theft deter you. You're registered, you know how to lock up, and it's awesome outside. See y'all out there.